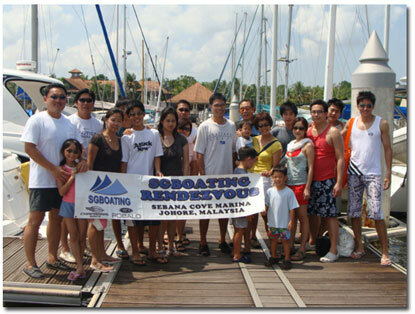 SGBoating and our tireless crew love putting together a funfill weekend trip to Sebana Cove, Malaysia. 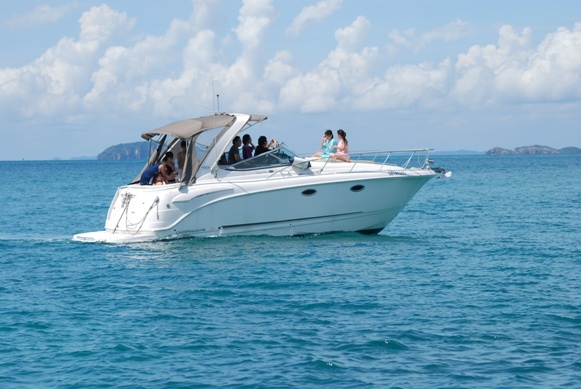 This trip have also been a regular shakedown cruise destination for new boat owners as they ventured beyond S'pore shores for the first with their very own boat. 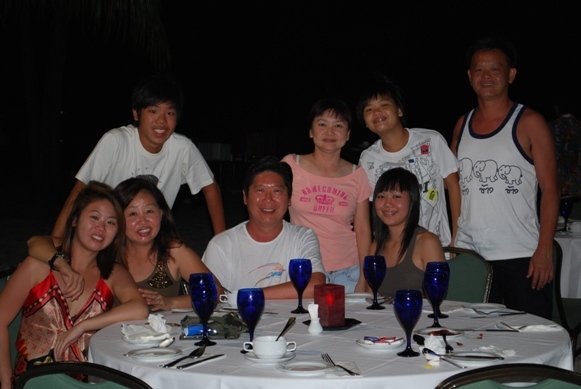 Visits to fruit farm, having fantastic seafood dinner are just some of the highlights of this interesting cruise. Picture 60 or 70 adults & children soaking up a sunny Sunday in Singapore with BBQ wings and lot’s of H2O. 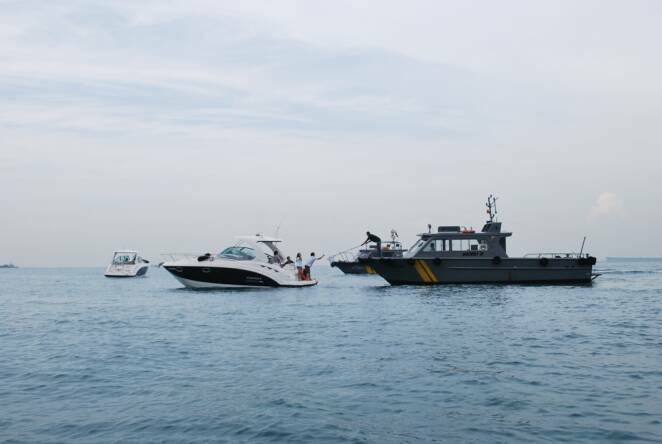 The scene come to life as Chaparral owners motored up to a stretch of beach as this became one of the largest on-water rendezvous in Singapore! 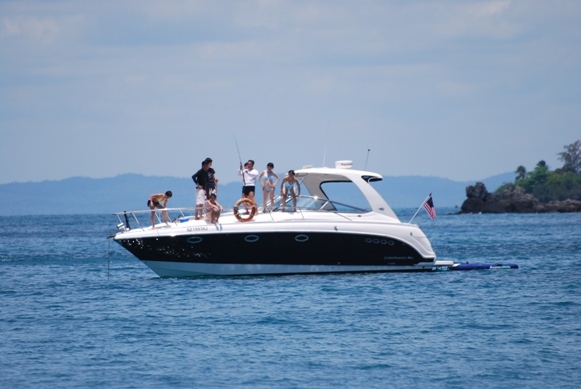 It seems there isn't a weekend that doesn't go by that Chaparral owners aren't gathering somewhere for a getaway, scavenger hunt, raft-up or overnight anchorage. 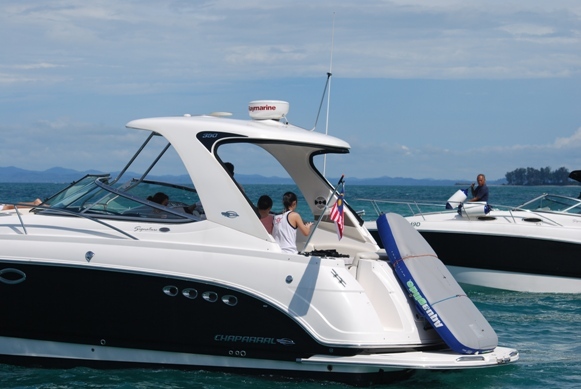 Chaparral Owners often get together for boating Rendezvous’ arranged by SGBoating, which is a perfect opportunity to get out on the water and have some fun and meet fellow Chaparral owners. So stop dreaming and start creating boating memories! 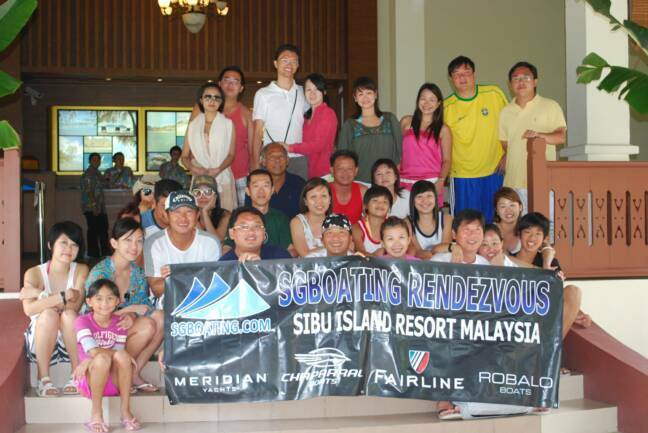 Long weekend is always a welcoming break for many boat owners and a great opportunity to escape as SGBoating put together fun & exciting 3 day boating rendezvous to the island of Pulau Sibu, Malaysia. 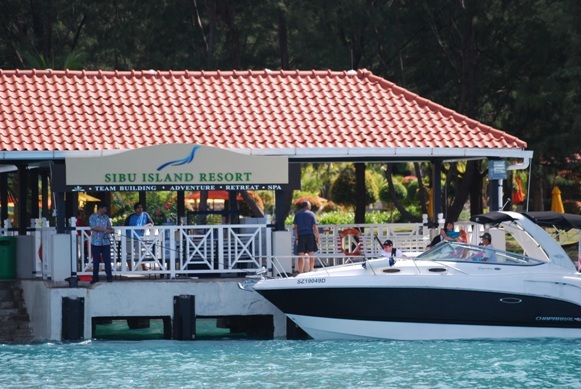 The 4 hours journey brought surprises to boaters as Sibu Island Resort play host in the next 3 days by providing top notch accomodations, sumptuous food, excellent resort facilities and great boating grounds in the nearby islands. Refuelling is now possible with our tie-up through an agent on the mainland. Singapore is a squeaky clean place. Yes siree, we're so damm hygienic that even our rubbish landfill area smells good and can support a diverse ecosystem of rare plants and animals! 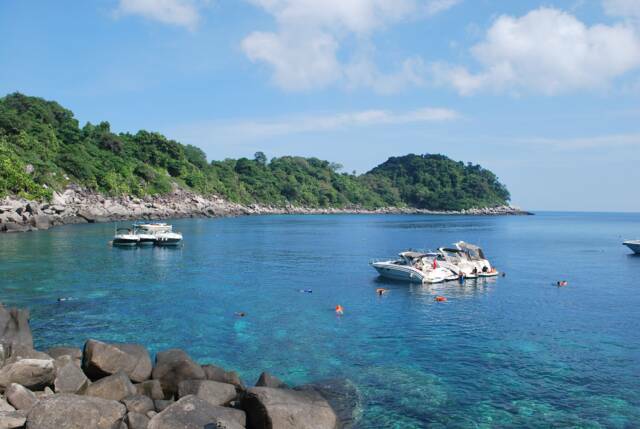 And that was exactly what more than 45 people found out when SGBoating put together an eco-tour boating trip to visit Pulau Semakau on the last Sunday of the June school holiday. 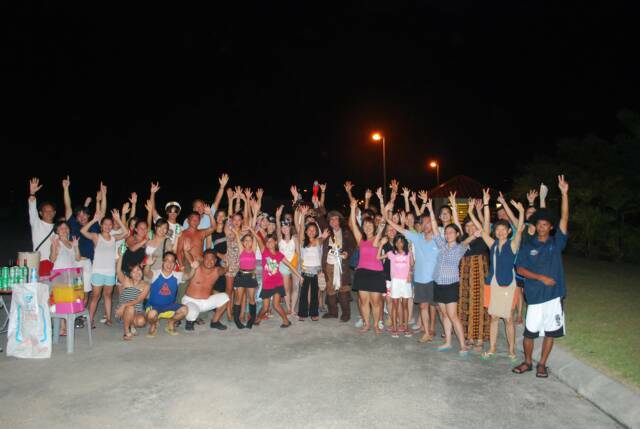 The event was rounded off in the afternoon with a rendezvous at nearby Pulau Hantu with a sumptuous BBQ. Many thanks to the staff of National Environmental Agency for accommodating us! 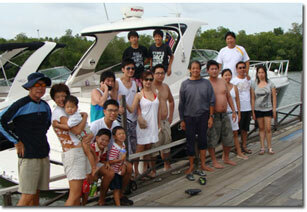 What you see on this pages is only a small compilation of the activities put together by SGBoating over the years. 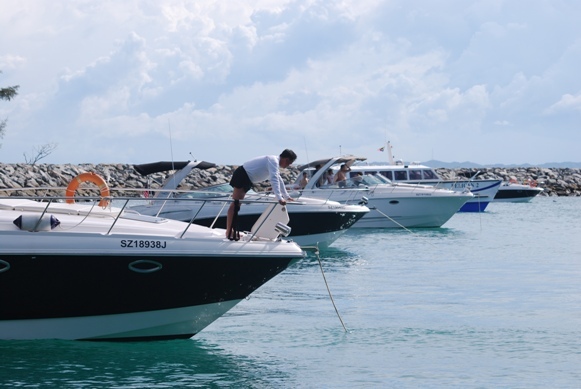 As a SGBoating customer, the fun never stops as we regularly put together some of the largest boating rallies and rendezvous to many of the best boating grounds in Singapore and neighbouring countries years after years. We take boating fun seriously ourselves to ensure you have the best fun on the water. Our service and support boats are always around in every boating trip to provide assurance and support to boaters and our staff are nautical-savvy to lead the convoy to many destinations in our region while providing on-water and dockside assistance to our boating customers. 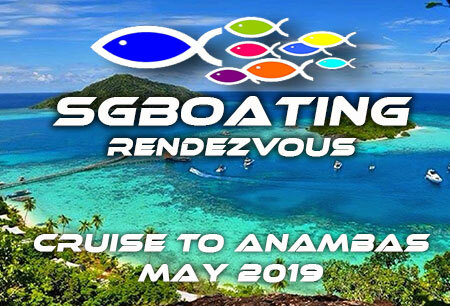 Over the years, we have put together some of the best boating rendezvous to destinations many never heard before but came back asking for more! Boating is not just about fun but educational and inspiring as well. Many have gone-on to bigger boats over the years and venture further to seek their own tranquail cruising destinations. 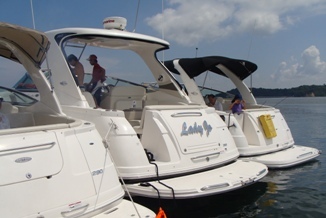 For our next boating rendezvous, visit our Facebook page for latest updates or Flickr pages for recent events. 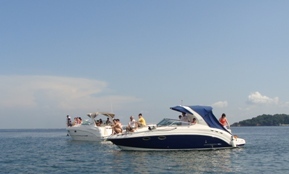 Discover Boating Fun, The Fun Never Stops! The Singapore registered owner of a new Fairline Targa 38 Express Cruiser embarked on a solo boating journey to the picturesque island retreat of Phuket, some 550 nautical miles away. The reward? Tons of great boating photos for the family album and to share with everyone here. 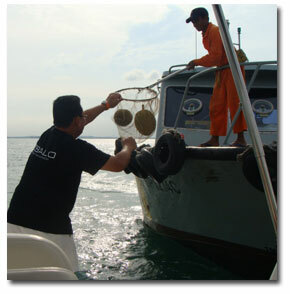 SGBoating assisted in the logistics support and services through our affiliates in Phuket Boat Lagoon Marina. Block-out your calendar for our first rally to this island come December! SGBoating Boating Bash have always proved to be a huge success with beautiful weather, great fun, and a record number of attendees. 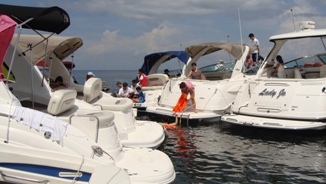 This annual event put together by SGBoating exclusively for our customers has since grown to include boat lovers and party lovers alike and across the board brand loyalists which SGBoating sells in Singapore. 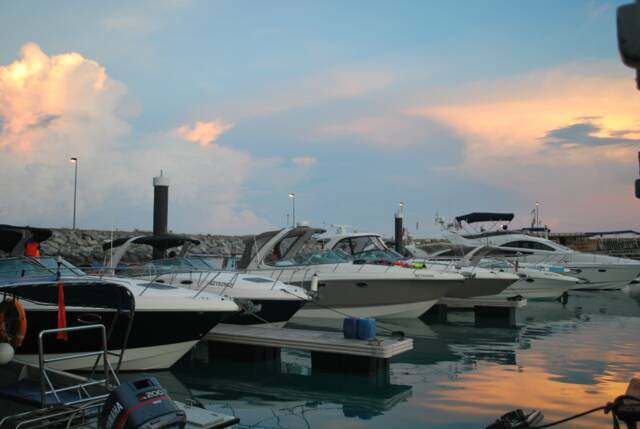 Since it's inception, this event continues to grow and it has become the largest annual gathering of boats and boaters put together by a local Singapore boat dealer. 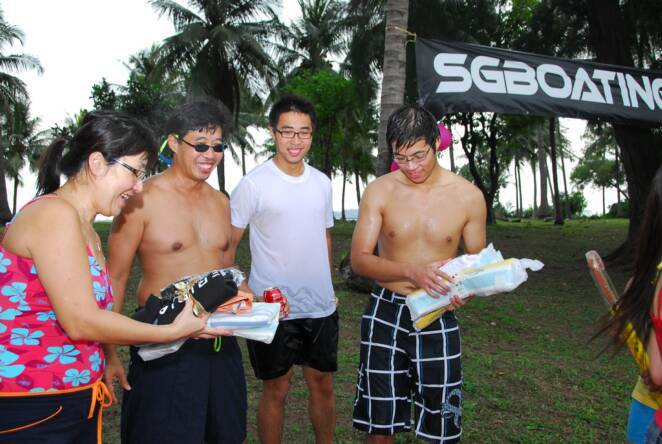 So when the year ends, you can be sure somewhere in a nice Singapore beach, we will be putting another big party for all SGBoating customers to come together for a great day of fun on the water. See you there! Cruising to Indonesia has always been a popular escape for many boaters, especially a simply weekend getaway to the famed Nongsa Point Marina at Batam Island. 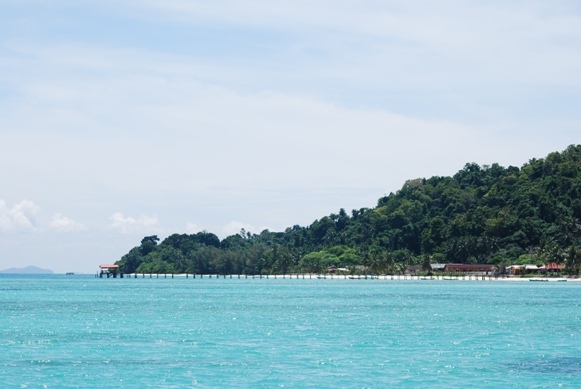 Only 60 minutes south of Singapore, this island is easily reach by almost any type of boats be it a nice flybridge, express cruiser or a small bow-rider boat. 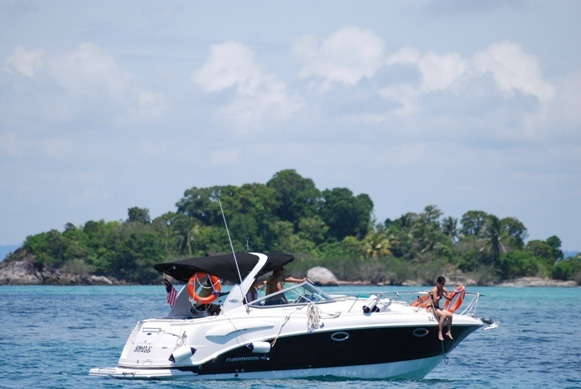 SGBoating has been organizing such cruises to Batam for years now and our popular weekend getaway include berthing at the modern Nongsa Point Marina where boaters can experience spending a night onboard their own boats or the many available chalets found within the marina. A weekend programs usually include a nice seafood lunch at a local Kelong restuarant, visit to local dry-food stuff market place, shop at Batam largest mall and more shopping at local boutique outlets. 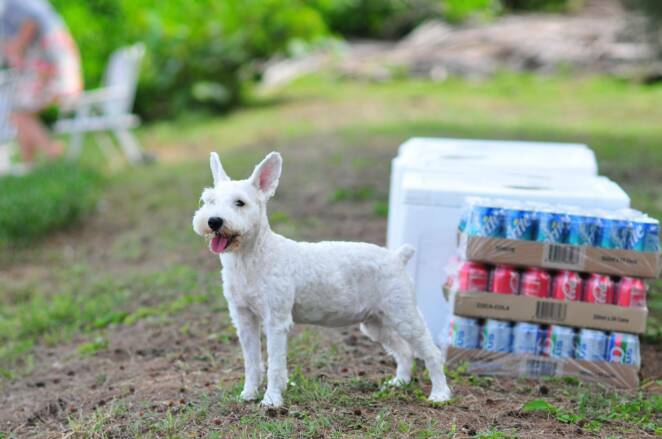 All in all, a weekend getaway is not just about boating but putting together a great weekend of fun for the entire family! 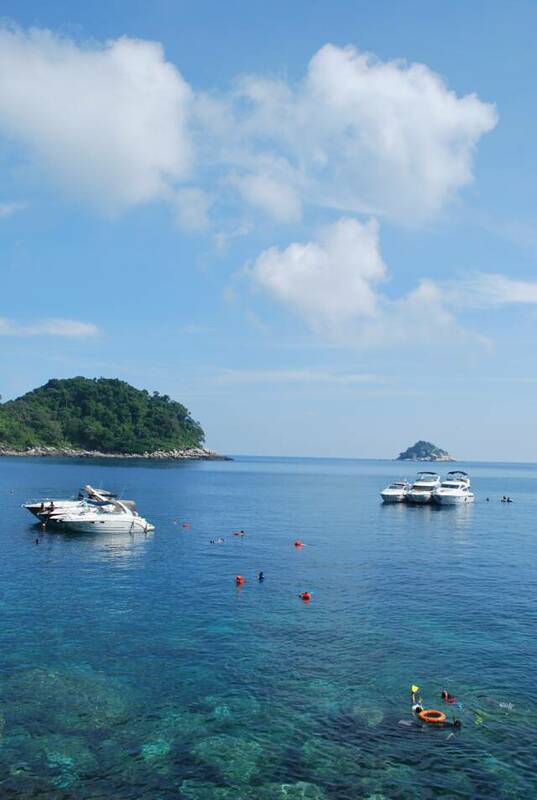 When SGBoating put together the boating rally to the beautiful island of Pulau Tioman, Malaysia, boaters cleared their office work weeks in adavance in anticipation. 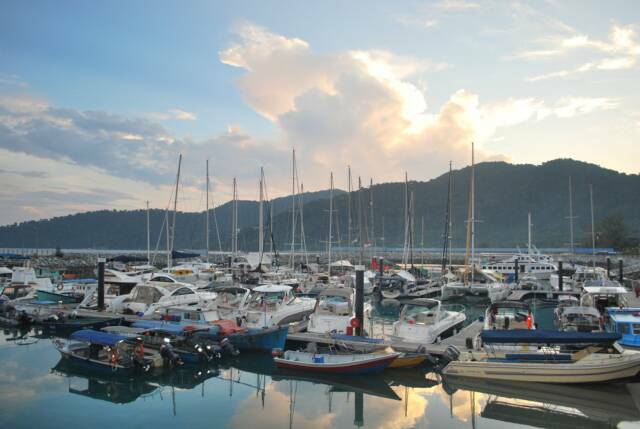 Being among the favourite boating destination, Tioman remains the top choice for local boaters because not only larger yacht will find the cruise up north enjoyable, smaller boat owners have found the trip possible with proper logistic planning. 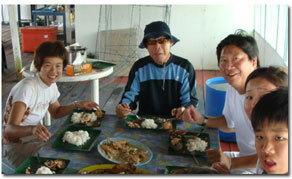 A typical 4D/3N boating trip wil bring boaters to the many finging reefs for snorkeling, diving and fishing. A short visit to th Marine Park, stop-over to nearby waterfalls, stop at local village for lunch are just some of the laidback activities boaters can expect. Everyone wants to be an insider, and you can be one too! Choose your poison: sign-up for our Newsletter, join us on Facebook, or follow us on Twitter. Do all three and you'll be swimming in the the latest news, reviews, videos and more SGBoating goodness! Sign-up for the DocksideNews newsletter and find out about the latest news, the hottest boats, and the most up to date local boating scenes around Singapore. Let us keep you up-to-date! Become a SGBoating soldier! Join us on Facebook and share the best boating news, buying guides, videos and other cool information directly with all your friends. Some might even thank you for it! Do you like information in small snippets? Then our Twitter feed is just for you. Follow SGBoating and you'll be able to catch up daily on our latest contents, or even interact directly with our team. Tweet Tweet!